The AGL Laserometer Laser Detector features a digital readout of elevations and strobe rejection technology that detects and ignores the flash from strong strobes on the job for accurate results. 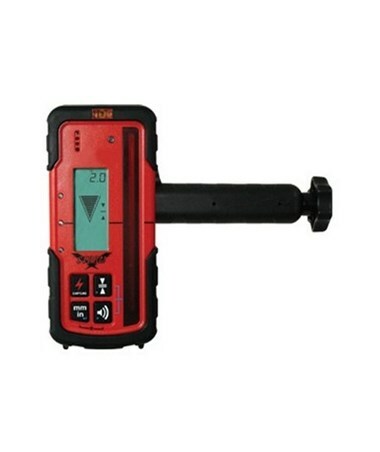 This laser receiver also has dual LCD screens, 21 display channels and a rod clamp for attaching to surveying rods. Featuring a five-inch vertical reception window, the AGL Laserometer finds the beam quickly even at long distances. Its front and rear LCDs also indicate elevation information numerically and graphically with arrows and bars. Construction professionals can choose between five accuracy levels and different units of measure. In addition, high visible LEDs on the front show red for high and low and green for on-grade. Integrated anti-strobe sensor prevents construction lights from giving faulty signals. 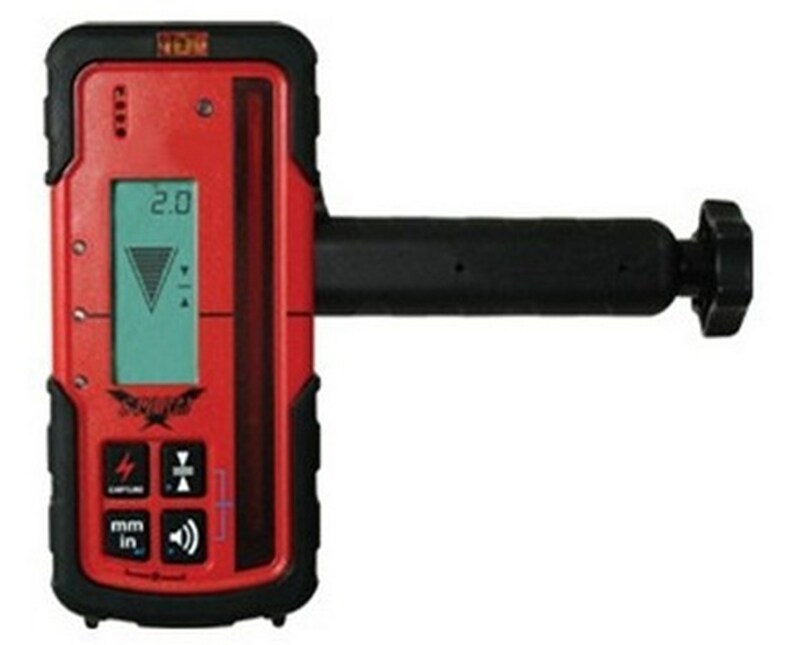 This AGL laser detector is also equipped with a loud beeper that emits an audible tone indicating on-grade, high or low. The AGL Laserometer includes a rod clamp that is designed to mount the laser detector on round, oval, square and rectangular rods, as well as various sizes of wooden staffs. With an IP-67 rating, this laser detector is dustproof and water resistant and eliminates downtime due to moisture or bad weather. The protective over-molding also allows it to withstand a drop of ten feet onto concrete and it works up to 60 hours using two AA alkaline batteries. This AGL laser receiver package comes with a rod clamp, batteries and 2-year manufacturer’s warranty.